In slim and elegant blue black or white, the Aubrey Ballpoint Pen is a timeless classic. Screen or pad printed with your promotional logo it looks fantastic and represents a bargain executive gift. 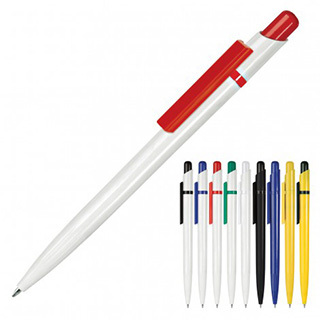 With precision twist action and retractable ballpoint delivering quality black ink this corporate or conference pens will be sure to satisfy.